Welcome back to 2-Bullet Tuesday, where we’ll share useful tips and awesome stuff sent in by Omega2 users all around the world. Check out creative projects and tutorials that will supercharge your IoT development! This week, our favorite project is a tutorial on setting up websocket communication on the Omega2 by Nic Raboy. Having a websocket server on the Omega allows any client like a web browser, mobile app, or even a game to communicate with and send commands to your Omega! This is an awesome starting point for any and all connected and/or real-time projects since it can be so easily adapted for your own purposes. Great tutorial, Nic! For this week’s tip, we’re doing a quickstart tutorial for getting up and running with the Servo (PWM) Expansion. We’ll show you how to correctly connect servo-motors to the Expansion and then how to move them from the command line. Why exactly is this called the Servo (PWM) Expansion? Glad you asked! Servo-motors are controlled with Pulse Width Modulated (PWM) signals. For a PWM signal, the duration of time the signal is “high” (logical 1) determines the pulse width. When a servo receives a PWM signal, it will set it’s angle according to the pulse width of the signal it receives, but more on that later. 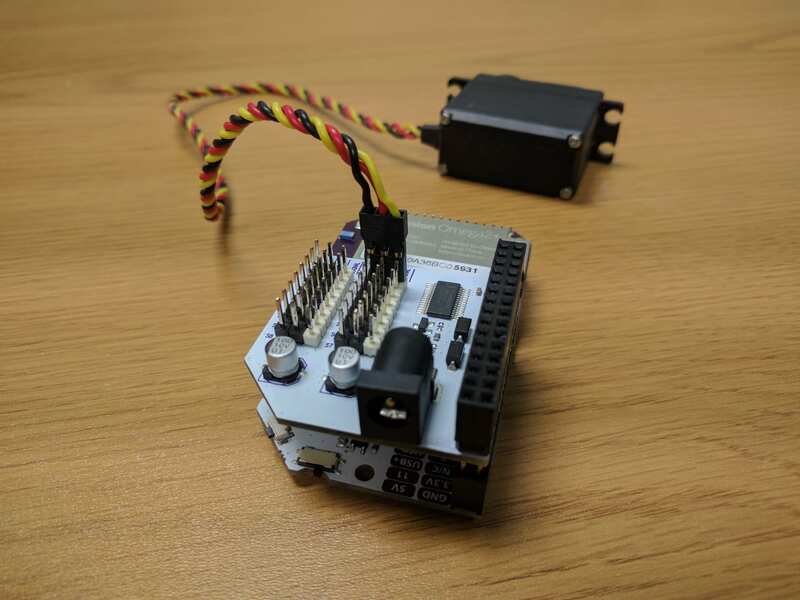 The Servo Expansion can generate up to 16 PWM signals and has really handy headers for directly connecting servos. 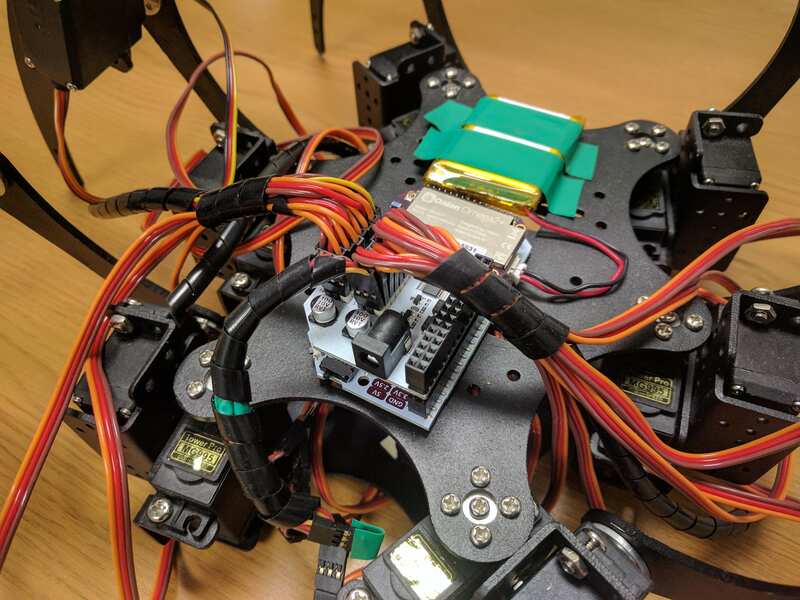 With the Servo Expansion, you can connect up to 16 servos and control them with your Omega, opening the door to some awesome robotics and automation projects! When connecting the servo, make sure you’re plugging in the connector the right way. The Signal wire of the servo connector must plug into the Signal pin with the white header block on the Expansion. If you briefly connect the servo backwards, it likely won’t result in any permanent damage but you’ll notice that you won’t be able to control the servo at all! You’ll notice the Servo Expansion also has a DC Barrel Jack. Servos are DC motors that do mechanical work, often times with a load, meaning that they require significant current to get the job done. If you’re using one or two servos with a low load, you can probably get away with powering the servos directly from the Omega. When using multiple servos under a load, we recommend supplying the servos with their own DC power supply through the barrel jack. This will give the servos the current they need to get the job done! 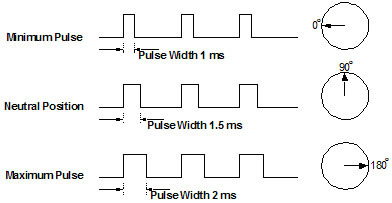 It’s important to note that there is no “standard” pulse width definition, so you should check your servo’s datasheet to find the minimum, neutral, and maximum pulse widths as well as the signal frequency. Now that you have some background on how servos work, it’s time to have some fun! Alright! You now have a primer on how to connect servos and control them from the command line! Try it out yourself and then dazzle us with your servo-based projects!